A terrifyingly great mask based on a well-known group from season six of the popular AMC show, the W Walker mask is made from latex and covers the entire head when worn. This licensed mask looks like it came straight from the set. The bright blue eyes and large bloody gashes on the face are sure to freak out onlookers. The signature W on the forehead leaves no doubt what this being used to be. There is thinning black hair attached to the wig and a large gash on the back of the neck. The details are gory and gruesome, making this mask truly terrifying. 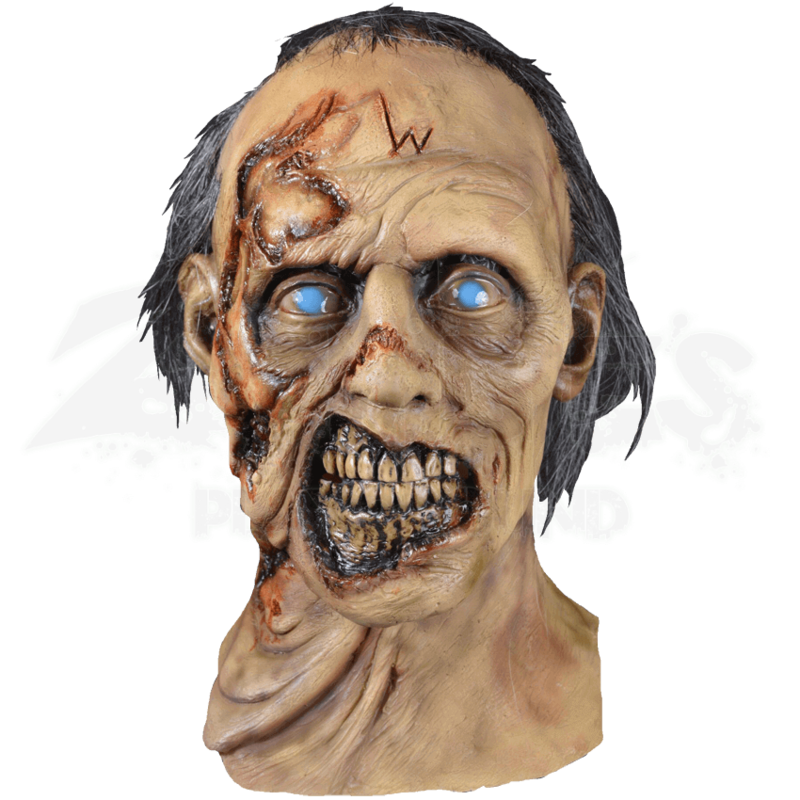 You can use this mask for a variety of zombie events or Halloween, either way you are sure to be one of the creepiest dressed figures.